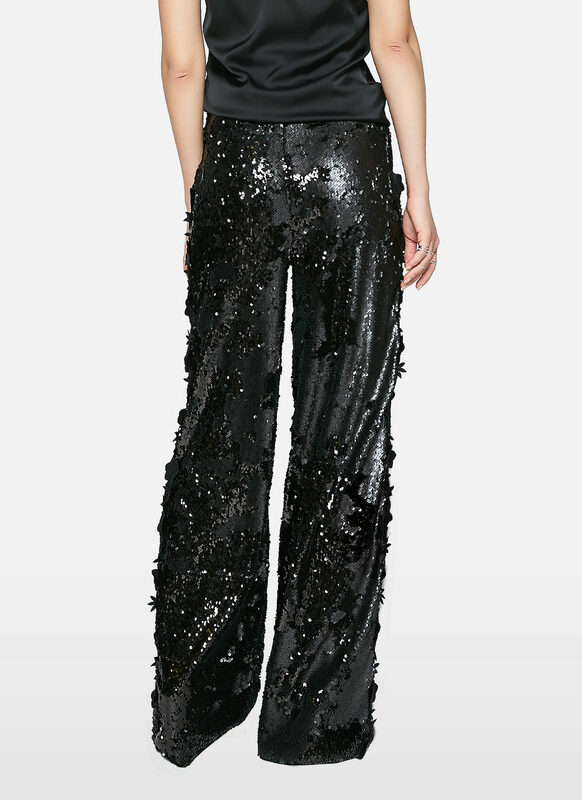 Wide-leg pants in stretchy fabric with laser-cut details at side. These pants are all about “minimalism meets maximalism”. 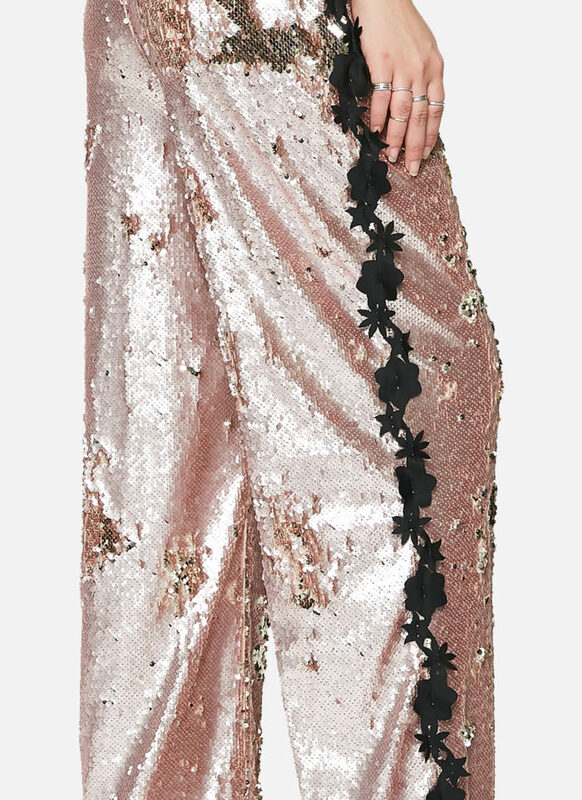 Cut for a loose fit, they are covered in sparkling black sequins, making them great for a night out with friends – especially when worn with the matching blazer. 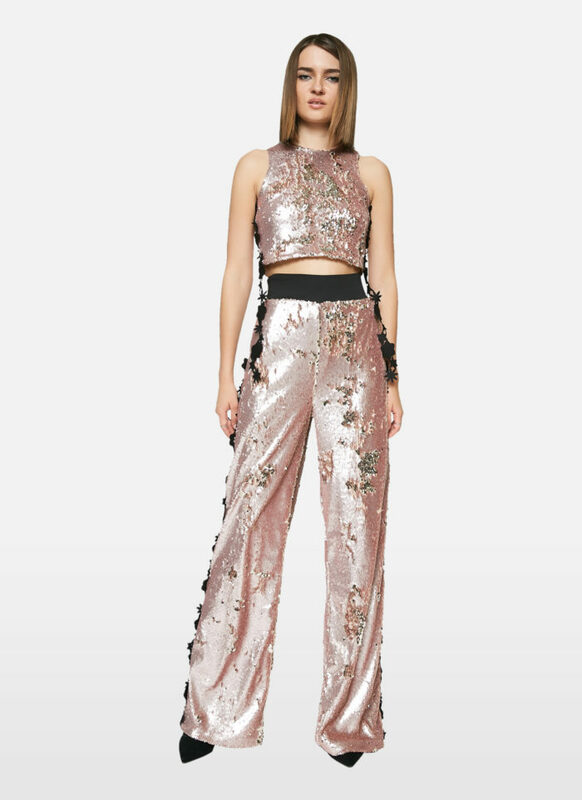 If top-to-toe sparkle seems a little daring, try yours with a camisole or bodysuit.